Skin is the body’s largest and fastest growing organ in the body. Skin plays an instrumental role in the health of every individual in ways many don’t realize. Skin is the primary defender against infection, environmental changes, UV rays, injury, and chemicals. Similar to the human gut, the skin is colonized by various types of microorganisms that support its overall health. Skin is often only thought to be made up of dead cells but is actually colonized by bacteria, fungi, and viruses. The skin microbiome helps prevent harmful organisms from invading and harming the body. These microorganisms are thought to work together by teaching billions of T cells how to identify and attack potentially harmful organisms on the skin. Bacteria in the microbiome vary depending on the location of the body. Generally, bacteria fall into three categories based on topography: sebaceous (oil based), moist, and dry areas. Bacteria residing on the skin mainly fall into four phyla: Firmicutes, Bacteroidetes, Proteobacteria and Actinobacteria. Bacteria that make up the skin microbiome are similar to those that make up the GI microbiome. Probiotics are living microorganisms that can improve health when taken in sufficient amounts. Probiotics can be consumed in fermented or non-fermented forms. After being ingested, probiotics are thought to exert their biological effects on their surrounding environment in the gastrointestinal tract, creating a potentially healthy or desired effect for the individual. 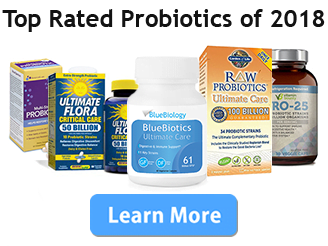 Probiotics have been studied extensively for their health benefits in the gastrointestinal system but research has expanded to nearly every body system. Some studies suggest that probiotics can produce an effect at the skin level. Multiple studies have suggested that probiotics supplementation might be useful for the treatment of atopic dermatitis (eczema). Eczema is a chronic skin condition that affects about 20% of children worldwide. Probiotics may help by reducing the body’s inflammatory response by influencing Th1 and Th2 immune responses. Studies carried out to determine if probiotics can help prevent eczema in infants yielded mixed results. A 2014 study tried to determine if probiotic milk products could help prevent atopic dermatitis and conclude that the consumption of probiotic milk products did reduce the incidence of atopic dermatitis as well as rhinoconjunctivitis. Another 2014 study studied a particular strain of probiotic and came to the same conclusion, that probiotics can help reduce the incidence of allergic diseases such as atopic dermatitis. Still, many researchers discuss the complexity of the usefulness of probiotics for potential health effects. There doesn’t appear to be a better effect when multiple probiotic strains are used compared to a single strain. In 2010, a group of researchers put together guidelines to assist in the research of probiotics to support or deny the need for larger, randomized controlled trials. Some conducted research found that probiotics can help in the treatment of atopic dermatitis but older meta analyses disregarded those findings. Even with some hopeful findings for the use of probiotics in atopic dermatitis, the clinical relevance remains low. A 2006 study found that a probiotic strain could be utilized to reduce the presence of acne. Another 2006 came to the same conclusion. A topical application containing 5% probiotic was found to reduce redness, acne lesion size, and improve skin barrier in patients with acne. A 2018 study found that the group receiving probiotic lotion demonstrated significantly reduced inflammatory lesions (acne) when compared to a group receiving a placebo lotion. Probiotics are thought to produce antioxidant effects, which could help to reduce the effects of aging skin. Multiple studies have found that probiotics can accelerate healing after UV exposure. Experts still note that further research is needed to understand the relationship between probiotics and skin aging. Taking too many probiotics at once can lead to side effects, most notably uncomfortable gas. A study published in 2010 noted not only gas as a common side effect but bloating also. Research predominantly classifies probiotics as having minimal side effects for healthy individuals. You should always consult your doctor before starting a probiotic, especially if you have a preexisting health condition. Taking probiotics to promote skin health or to help with skin issues is a low-risk, low-reward option for most individuals. The research provides suggestive results but few of the studies were conducted in ways that would influence clinical practice or would overtake current treatment options for the average person. One could consider probiotics to be a minimally beneficial option for atopic dermatitis, acne, and UV protection. As more research is conducted on how probiotics impact skin health, we will get a more accurate sense of the validity of the previous studies.